Personal security may seem like a no-brainer, but you’d be surprised how many times, without knowing it, you’re making yourself an easy target. Whether you’re at home, work, out in public, or even on holiday, you should always do your utmost to make sure you and any companions are as safe as possible. Sounds like obvious advice, doesn’t it? But you’d be surprised how many times you can make yourself a target for muggers and pickpockets without realising you’ve done so. Here are a few tips that will help you to be more aware of potentially dangerous situations, but also how they can easily be avoided. It makes sense to start with this as it’s probably the most obvious and common piece of safety advice you’ll receive. “Be careful if you’re out and about in the evening”. It’s far too easy to get into the routine of walking home alone at night, and it’s even easier to become naive to the dangers of doing so. If possible, try to walk at night with a friend but, failing that, make sure that someone knows where you’re going. Plan the route you’ll take and stick to well-lit areas. Avoid shortcuts (such as alleys or pathways) and walk to your destination as quickly and confidently as possible. Also, be sure you take your phone just in case you get into any trouble. 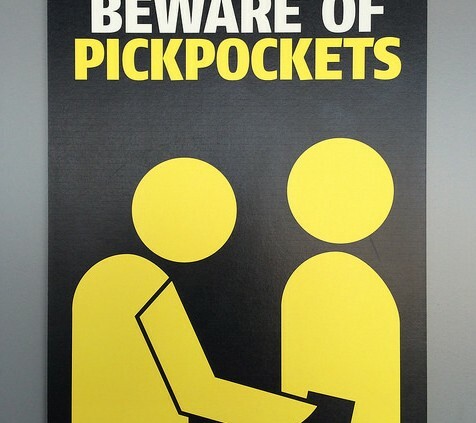 A large crowd, for example during rush hour or a big event, may seem like the safest place you could be, but this environment is a pickpocket’s playground. The packed-in hustle and bustle of a crowd is the perfect cover for someone to gain access to your belongings, leaving you none the wiser. This is a very common occurrence at events or festivals, especially in the major cities where the crowd is going to be much larger. Security firms in London are busy all year-round with the abundance of events that go on there, a prime example being Notting Hill Carnival that draws an enormous crowd. And although there will be security companies on-hand at large events, their primary concern is to prevent any trouble or immediate danger on a grander scale, so it’s all the more important that you do everything possible to maintain your own personal security. 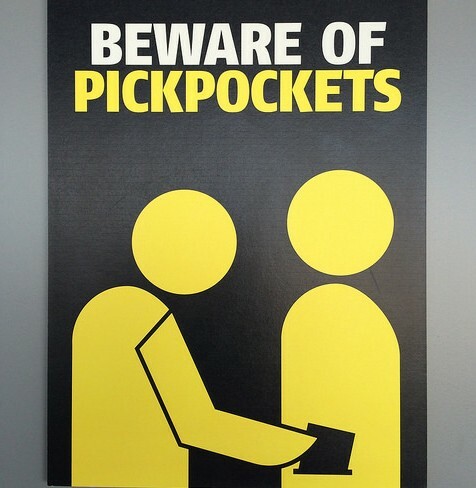 Ideally, you want to have expensive/valuable belongings such as a phone or wallet in your front pockets. That way, they’ll be easier to keep an eye on but, more importantly, harder for anyone to get hold of. If you’re wearing a backpack or carrying a handbag, keeping essential items at the bottom of the bag will make it harder for thieves to gain access to them without you noticing. If you’re walking along with your brand-new phone out, wearing that expensive watch you’ve been waiting to show off, or strutting your stuff with a new designer handbag loosely hanging from your arm, then you’re ticking all the boxes for any thief who happens to set their eyes on you. This is especially important if you’re on holiday as you’re more likely to be carrying more money and expensive items such as cameras. That’s not to say that you shouldn’t bring these items out in public, but make sure you’re aware of your surroundings when you do so. Strolling along at night time while staring at your phone isn’t the greatest idea. Not only does this show off the fact that you’re carrying a phone, one that shines a light on your face and draws attention to you, but it also tells potential thieves that you’re not paying attention to what’s going on around you. If you find yourself in a situation where someone is confronting you with the intention of stealing your personal belongings, then the instinctive reaction might be to resist and protect what is yours. However, this can make the situation more heated and potentially violent. If this should ever happen to you, just consider how much those belongings are worth to you in the grand scheme of things. Is it worth more than your well being? Your personal security should always be the priority. When you find yourself in a potentially dangerous situation, or when something doesn’t feel right, you should always listen to your instinct and react accordingly. Whether it’s your surroundings or a particular individual who’s making you feel uncomfortable, there’s nothing wrong with just leaving. Who’s to say whether you’re right or wrong? Still, your instincts are there for a reason. Listening to them will not only give you peace of mind, but it could help you to avoid situations you’d rather not be in. Keeping yourself safe is paramount, and you’ll often find yourself in situations where personal security is vital to doing so. All of the above aren’t special security techniques and don’t require special training. All you need is a bit of common sense and awareness with regards to your surroundings and everyday safety.